President-elect Rodrigo Duterte's camp is studying the possibility of raising the basic salaries of neophyte cops to a maximum of P50,000 per month, while also giving higher-ranking cops an increase of their own. This was according to Duterte's running mate, Senator Alan Peter Cayetano who said the incoming president would make good on his campaign promise, GMA News reported. 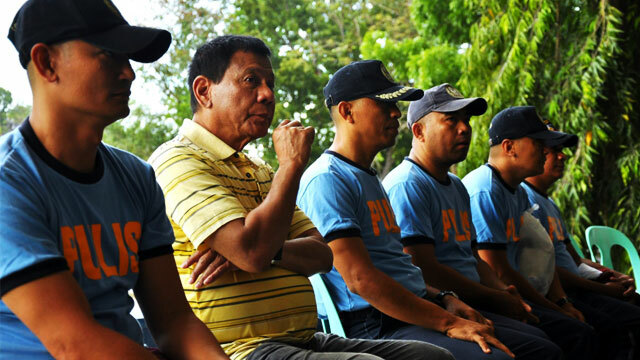 During the campaign, Duterte said he would double the salary of the police force to inspire them to serve and protect the public from crime even better. Cayetano said that Digong would like the proposal implemented before Christmas which is possible provided they get the full support of Congress. He added that computations for a possible salary increase for members of the Armed Forces of the Philippines are also underway. Aside from this, non-uniformed government employees might also get a raise if the country's economy remains robust for more than a year. Cayetano said the whole scheme would require a total of P70 billion, which includes P50 billion for the salary increase and another P20 billion to be allotted for retired cops. Cops with the rank of Police Officer 1 currently get a basic salary of P14,000 per month.